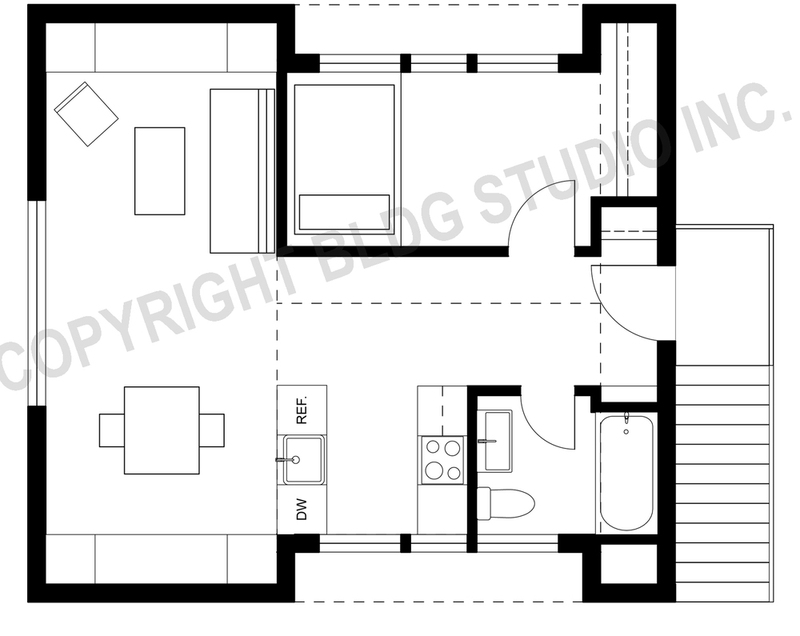 To purchase plans please visit BLDG Studio. 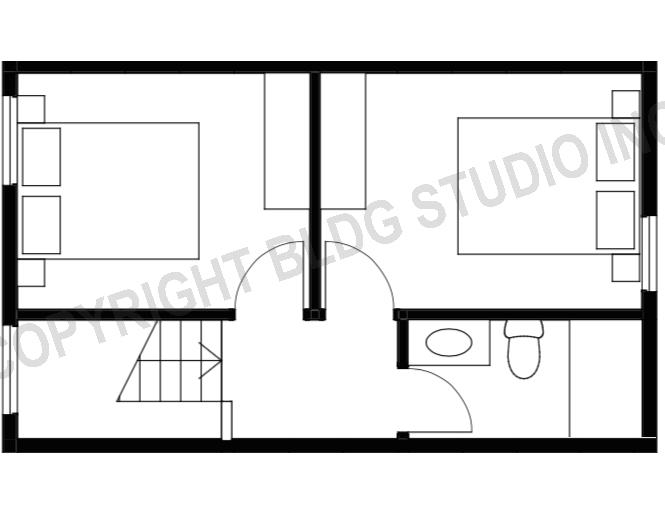 Garden Suite Design - A spacious garden-style suite that maximizes allowable living area on long, narrow lots. 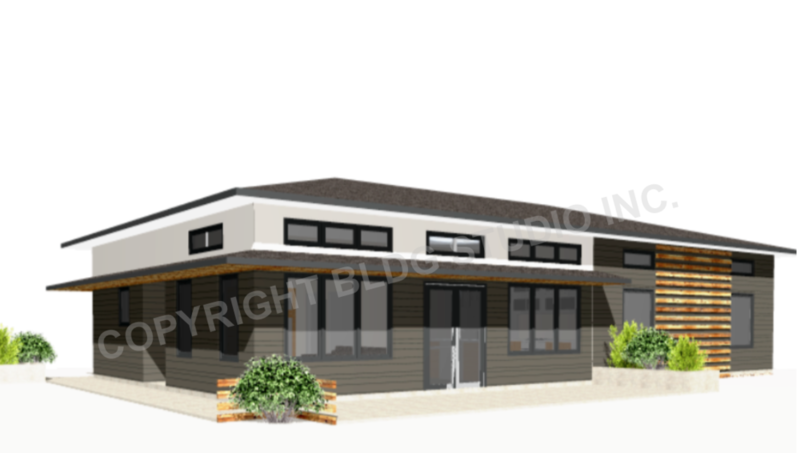 This cottage inspired design has ground level patio doors that provide natural light and access to the outdoors. Two parking spaces would be located at the back of the suite. 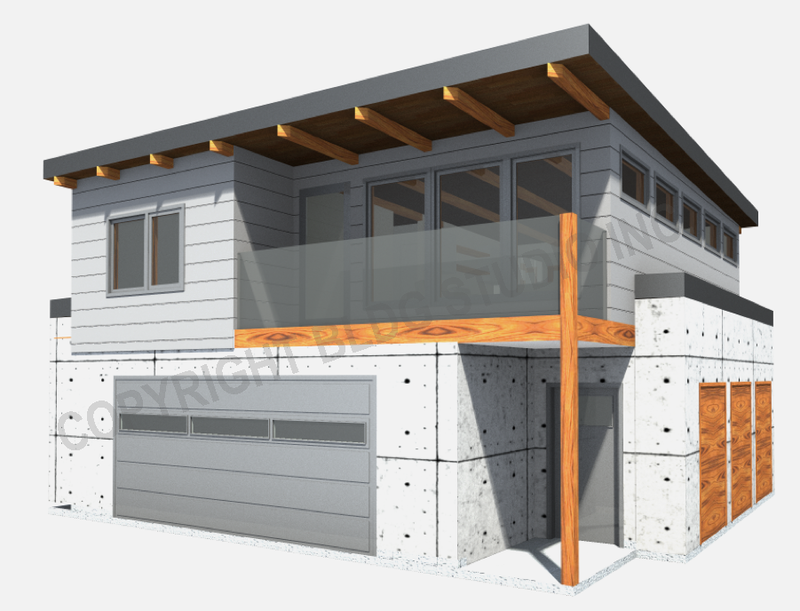 Garage Suite Design - This two storey garage suite features a single car garage with living space on each floor all within a small footprint. A typical layout would have an additional parking outside the building. 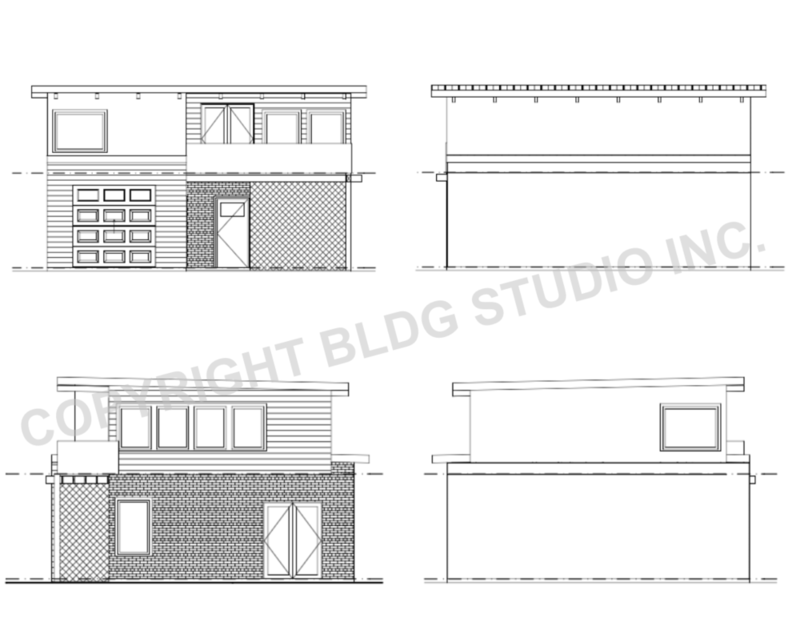 Corner Two Storey - A contemporary corner lot suite that complements and enriches core neighbourhood architecture. 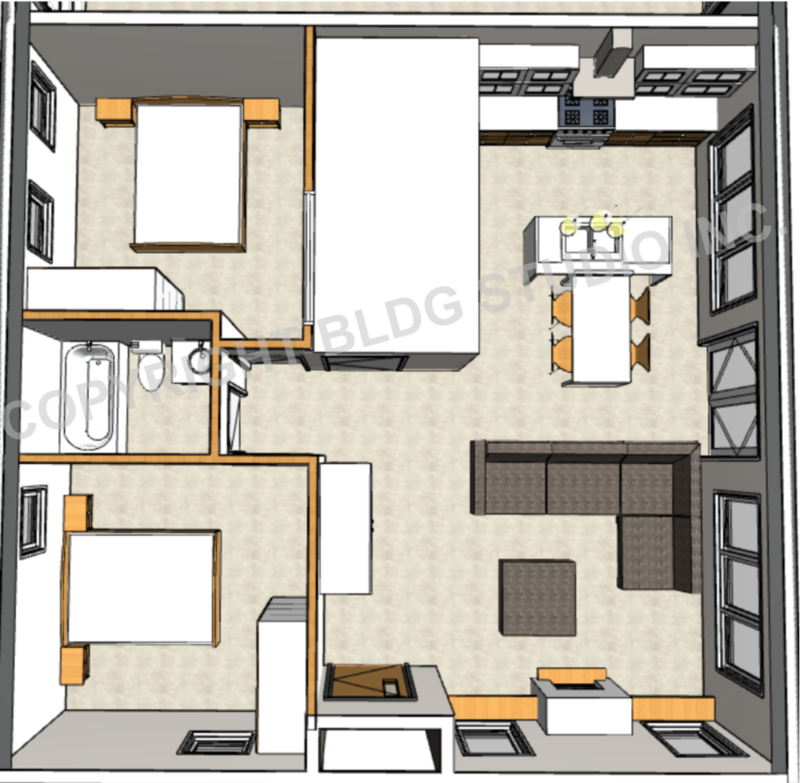 Designed to maintain private living between suite and main property. 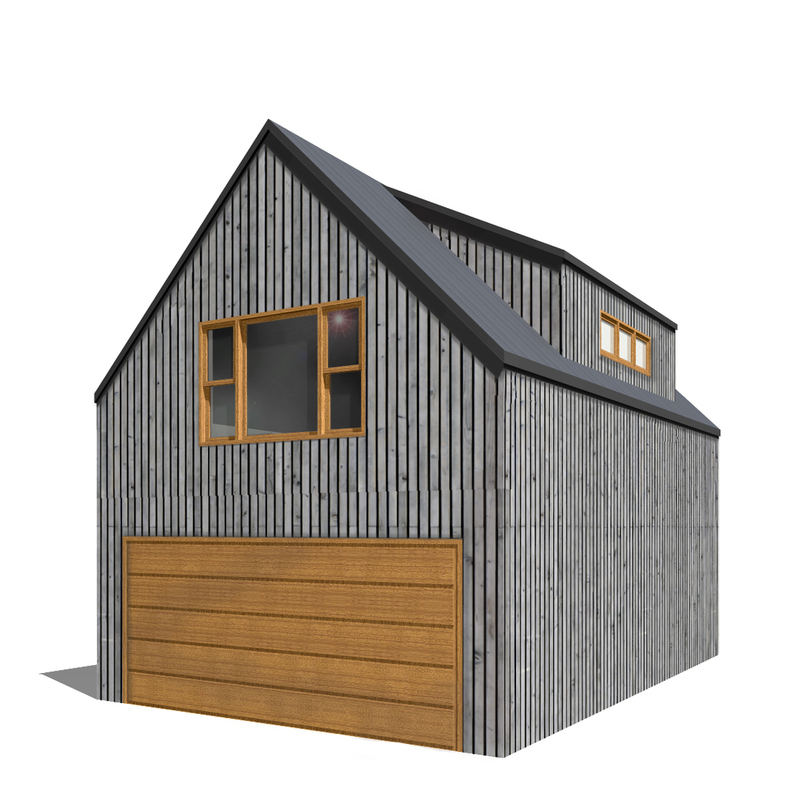 Laneway Two Storey - A multipurpose garage-style suite that blends into the surrounding neighbourhood. It provides a comfortable living space above a studio work environment or traditional parking area. 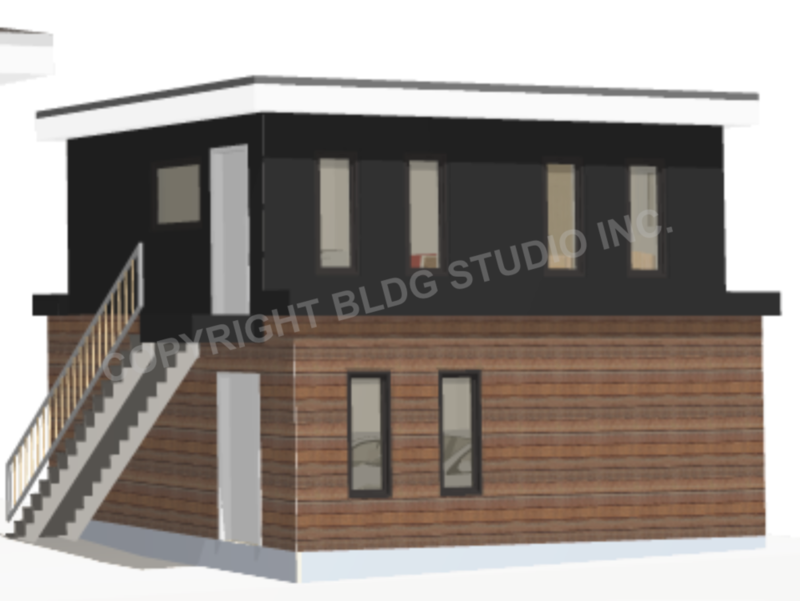 Modern Two Storey - A modern open-concept suite designed to maintain privacy from adjacent structures for comfortable laneway living. An elevated patio and plenty of windows invites natural light to fill the suite. 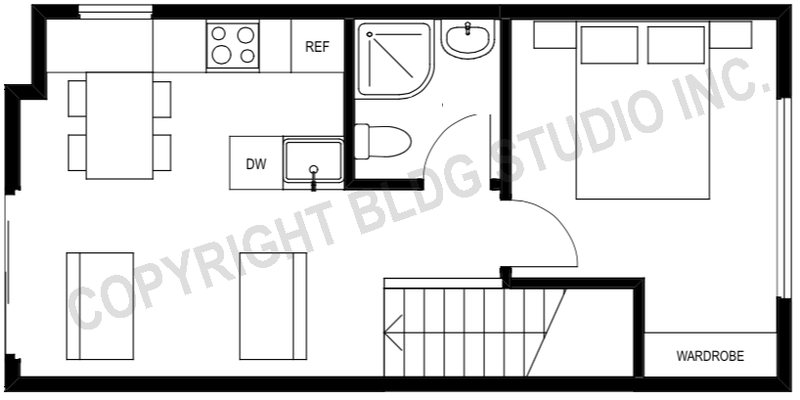 The oversized two car garage and mechanical room on the main level allows for a spacious two bedroom suite upstairs. Step-backs on the upper level allow the suite to fit in with locally defined architectural guidelines. 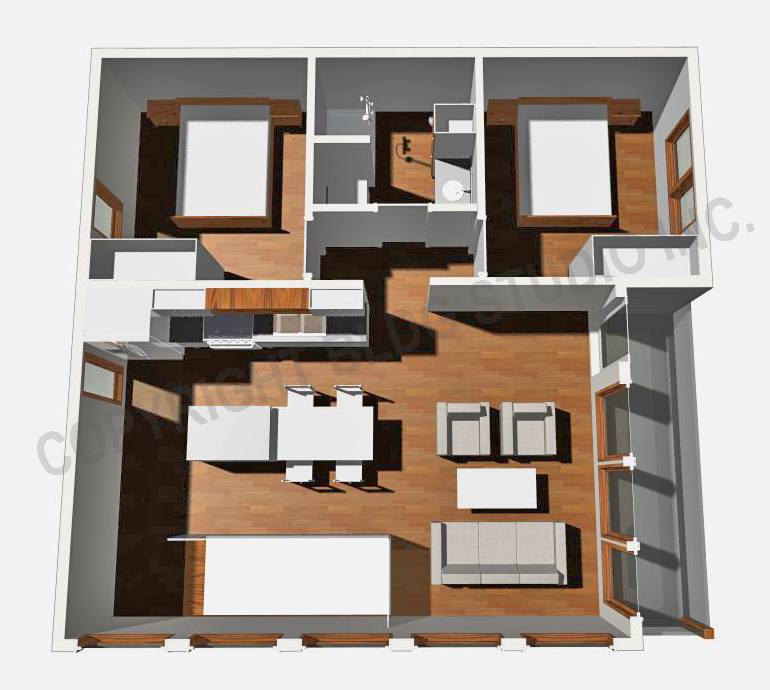 Laneway One Storey - This open-concept suite maximizes allowable square footage allowing for two bedrooms and two bathrooms. Ample windows allow plenty of light to enter the suite while their placement still maintains privacy. 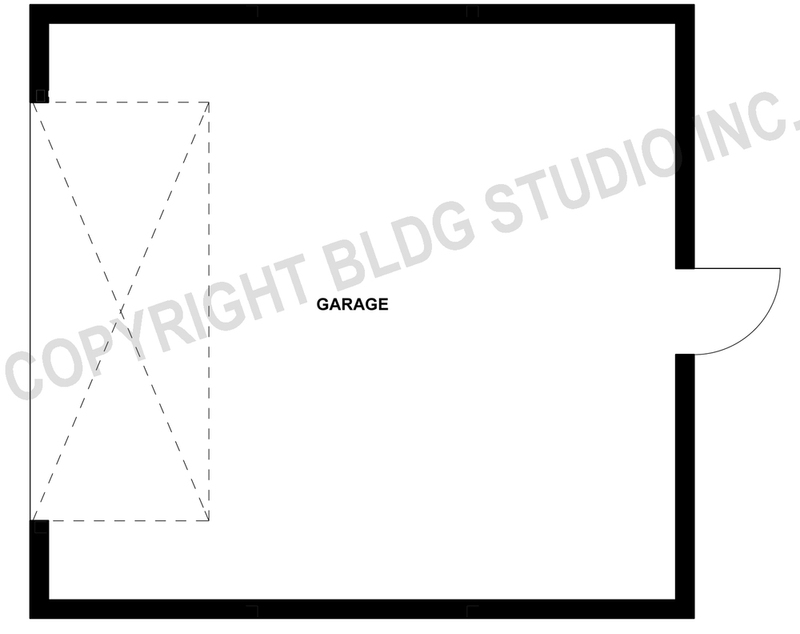 A full sized double garage is located beside the suite.